Disney’s “McFarland” will film in the Central California Valley. 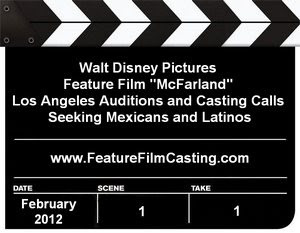 Mayhem Pictures in association with Walt Disney Pictures are set to begin filming the biopic feature film “McFarland” in February, 2012. After an open casting call last December, 2011 in Bakersfield failed to discover the film’s stars and supporting roles, auditions will take place in Los Angeles. 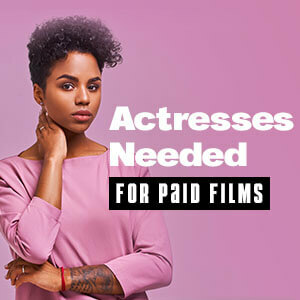 The studio and production company are open to new talent for the starring roles, which will go to teen and young Latino males. The film “McFarland” tells the true story of Jim “Blanco” White, a high school track and field coach who inspired his team to greatness on and off the field. Gary Smith of Sports Illustrated wrote, “No one can figure it out, how the runners with the shortest legs and the grimmest lives began winning everything once Blanco took over the program in 1980. Jim and his wife Cheryl invested endless time and love in the youth. They did much more than was required of them so the boys could receive what they otherwise would not. They were always there for them, pushing them on and always taking them on trips, to movies in a town with a theater, and on fishing trips. Jim White’s students all were from families who were from Mexican farm worker families, and faced tremendous challenges in their personal and academic lives. McFarland, population 8,011 in 1990, is something closer to a village transplanted from south of the border. Nine in 10 residents are of Mexican descent. One-third come from the village Huanusco, in the state of Zacatecas, Mexico. Critically acclaimed New Zealand filmmaker Niki Caro is directing “McFarland” from a screenplay written by Grant Thompson, based on the 1997 Los Angeles Times article titled “A Labor of Love for Boys of McFarland”. Caro wrote and directed the Academy Award nominated film “Whale Rider” starring Keisha Castle-Hughes, and also directed the Warner Bros. Pictures film “North Country” starring Academy Award winner Charlize Theron, and she wrote/produced/directed the fascinating romantic film “The Vintner’s Luck” starring Academy Award nominated actors Vera Farmiga and Keisha Castle-Hughes. Caro also penned the upcoming Warner Bros. Pictures film “The Boy Who Fell Out of the Sky,” based on the true story of a boy who died in the 1988 Pam Am Flight 103 airline terrorist bombing over Lockerbie, Scotland. Mayhem Pictures’ Mark Ciardi and Gordon Gray are producing “McFarland”. Disney has reupped its first-look deal with Mayhem Pictures. Ciardi and Gray previously produced three Disney sports drama feature films – “Miracle,” “Invincible,” and “Secretariat”. They also produced the Walt Disney Pictures films “The Game Plan,” “The Rookie,” and the upcoming “Wish List”. The sports film productions by Mayham Pictures is in part due to the fact that Mark Ciardi is a former Major League Baseball pitcher. He played one major league season for the Milwaukee Brewers in 1987. Casting director Sheila Jaffe, who is brought in often by producer Mark Ciardi, is casting “McFarland”. Jaffe has been nominated for eight Primetime Emmy Awards, one for which she won for “The Sopranos”, as well a four-time Casting Society of America Artion Award winner. Sheila Jaffe is based in New York, but sets up casting out of the Mayhem Pictures production office when casting their films. They are basically seeking the same types as they were looking for at the open casting call in Bakersfield, CA on December 17, 2011. They were looking athletic Hispanic men ages 17 to 23. • Latin Males, ages 15 – 21 years. MUST be of Mexican descent, or one of the following countries; Belize, Costa Rica, Guatemala, Honduras, Nicaragua, Panama, El Salvador, or Dominican Republic. • Should have a likable personality but slightly troubled because of the difficult life they have being from migrant field worker families. • Hispanic accents are acceptable, as well as bilingual. • Must either be high school age or be able to pass for a high schooler. • Must be in cross-country running shape. • Acting background is not required. To be considered, submit a recent color photo (does not have to be professionally taken) and an acting resume (if available) to the principal actor casting director listed below. Also include a link to an online acting demo, such as YouTube or Vimeo if available. Make sure to include you location and all contact information. Minors and immigrant talent must be legally eligible to work in the state of California and in the United States. Based on a true story and in the tone of “Remember The Titans”, the story is set in McFarland, CA (in Central Valley), a town that is comprised of 98 percent first generation Latinos (some legal, some not). The predominant occupation is migrant farming (even the children partake) and a high school coach (Coach White) comes to town with the intention of creating a viable after-school alternative, starting a cross-country team. They go on to win State that year and ultimately create a dynasty, winning State 8 years consecutively.